Being Accountable for Your Emotions Creates Dog Training Success! As a trainer with Four Legged Scholars LLC, Dog Training, Salt Lake City, we want you to have success in training your dog! It is easy for you to outsource your emotions and blame your circumstances for how you feel. For example you decide that walking your dog is frustrating because your dog pulls on the leash. You also believe that having visitors over is embarrassing because your dog jumps on them. What if you could feel peace no matter how your dog responded and as a result be more empowered to create the dog training results that you want? When you feel frustrated and are blaming your dog for how you feel attempt to ask yourself how and wonder questions in an accountable manner using the word “I”. How can I get my dog to walk loosely on the leash? How can I create more peaceful walks with my dog? I wonder how I can be a team with my dog? I wonder how my walks can be more enjoyable. When you ask these questions you are empowering your mind to think of solutions. The truth of the matter is that your dog did not make you feel frustrated. You just chose to blame your dog for it. When you remember that you can empower yourself to feel whatever you want to feel, you will notice that dog training becomes much easier. You will create obedience results faster. As you empower yourself to feel emotions that are of a higher vibration and stop blaming your dog, your actions will change. You will click at the right time to mark the behavior you want. You may also find that you will praise your dog and reward your dog more often when he is doing what you would like him to do. 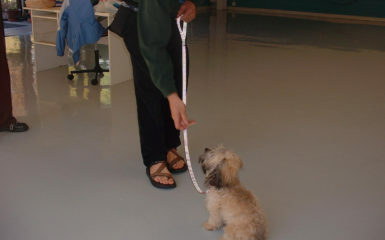 Also, you may find that you have a much easier and calmer time teaching your dog to perform the command. There are so many places to walk and perform dog training. Salt Lake City has many on leash walk options for your dog. Why not take advantage of those environments and also empower yourself to enjoy the training journey? It takes commitment, practice, determination and accountability to create dog training success. We want you to be empowered to create the dog of your dreams! Obedience here we come! 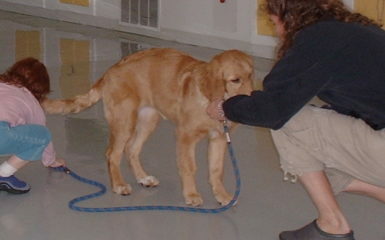 There are also many options for dog training. 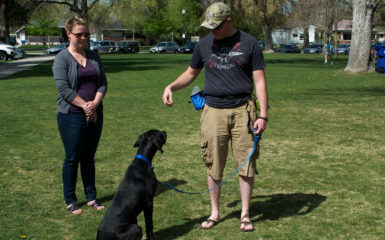 Salt Lake City has many positive reinforcement dog training options. However, our Salt Lake City, dog training company specializes in focusing on how your thoughts and emotions affect the dog training results that you are creating with your dog! 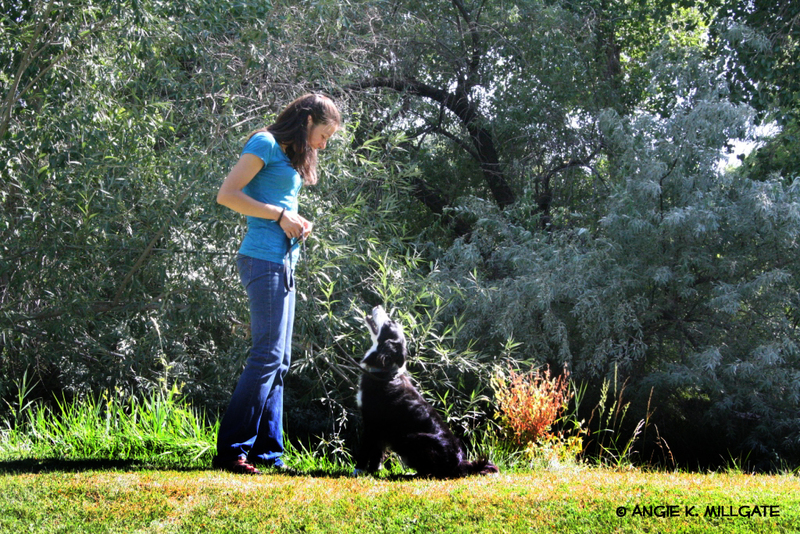 Where are you disempowered in training your dog? 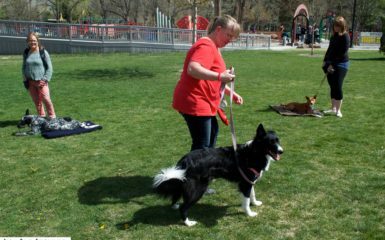 What how or wonder questions could you ask to create more Salt Lake City dog training success? Another great post Johanna, and a very important thing for owners to remember. We all feel frustrated at times, and we usually direct it towards the dog, child, or whatever situation we are in. However, really, we are frustrated at ourselves for not being able to achieve what we wanted to, and as you so rightly say, that mindset stops you thinking and taking action to be successful and achieve. I wonder how I could relieve myself of the negative feelings I get when Johanna tells me I am blaming the dog for whatever is wrong with me. I wonder who can help me and my dog feel positive about training together. The first step is to learn to be accountable for our emotions. Meaning when you feel an emotion notice it and bring awareness to it. Then from there realize it has something to do from your past and not form your dog. Next, get clear of want you to create now. How would you like to feel? What actions do you want to take to create the results that you are wanting. When you realize that you don’t have let your emotions control your actions and that you are in ultimate control of your actions disregarding how you feel…you are then empowered to made new choices in your life with your dog!